Inspiration comes in many forms - When it comes to graphic and web design, these are our top 10 favorite inspirational websites. There are several important aspects to a quality inspirational website. You need high quality project pieces, an interactive community, impressive design freebies, and a cohesive overall presentation. With several years in the industry, it's safe to say inspiration drains out of even the best of designers from time to time. Here are a few sites that should push you past that occasional "writer's block" and inspire any passionate designer to their next portfolio worthy project. We've compiled and curated our absolute favorite inspirational websites for our loyal visitors. This periodically updated list features bite-sized descriptions that highlight the best qualities of each. It must be noted, that all of these sites are good and picking a favorite is akin to picking your favorite child. That said, we'll start the list off with our favorite inspirational site and work our way down to from there. Behance has been an overwhelming advocate of quality design for years. Their incredibly inspiring website offers too many features to mention. A portfolio building system, simple interaction, and a vast library of absolutely awe inspiring design samples. Generally their content is high quality and their knowledge base is a huge added benefit. Dribbble is a design community of of utmost prominence in the design community. All projects are generally high quality and you can even get a few freebies strewn about. This invite only site is definitely a great way to get a finger on the pulse of current design trends. An up and coming submission based site with a wide variety of web design styles to browse though. Certainly not the head of the class, but the selection makes it useful for putting together initial approaches. This inspirational website takes my award (aha - see what I did there?) for the funnest voting system. Spot over and give it a try - it's downright fascinating. Combine that with it's top shelf quality content and this site should have a bright future. This website lacks much distinction, but it has tons of great imagery. The biggest downside is the nagging irony that you're viewing great design on what could be considered a lower then quality website. That point aside - Tons of great images. A growing collection of amazing design work with a commitment to celebrating talent from around the world. Inspirationgrid does pull most of their inspiration from other sources, but the site design, navigation, and functionality make it a fantastic resource and one worth keeping an eye on for the future. This inspirational website has been in my bookmarks for years. I've been a big fan of Fabio Sasso since 2009 (Proof of Fanboy Status) and if you just need a dose of inspiration followed by general amazingness... I'd suggest Abduzeedo's Inspiration section. Although it's not the only website named "DesignInspiration", it's become a standard resource for finding great design, architecture, art, photography and web inspiration. The layout is certainly minimal, but that makes the selection that they curate pop even more. Pattern tap is a subsite of Zurb - The amazing everything firm based out of So-Cal. Although the strength of the imagery has taken a step back during their recent transition, their code section shows a lot of promise and is certainly worth a visit. Plus Zurb is an incredible company - across the board. A beautiful selection of curated designs in a minimalist package. DesignInspiration.com is a little new to the design world, but their attention to detail makes them a solid resource with a bright future. If you've made it this far your bookmarks are most likely full and your desktop is probably covered with impressive links. If you know of any other amazing sources of design inspiration, please shoot us a message on your favorite social site. We'll certainly keep any of those suggestions into consideration on future updates. We hope you've enjoyed viewing our Top 10 Favorite Inspirational Websites and that you've found some useful resources you've never seen before. As always - Thanks for stopping by and if you like this article, please feel free to share it! One great aspect of Twitter is that you can always be in the loop of what you're favorite designers are up to. We've compiled a few very talented folks in major design disciplines that we believe should be on your list. Bootstrap vs UIKit vs Foundation - We take a look inside all the popular frameworks on the market and find the 10 Responsive Frameworks You Need. 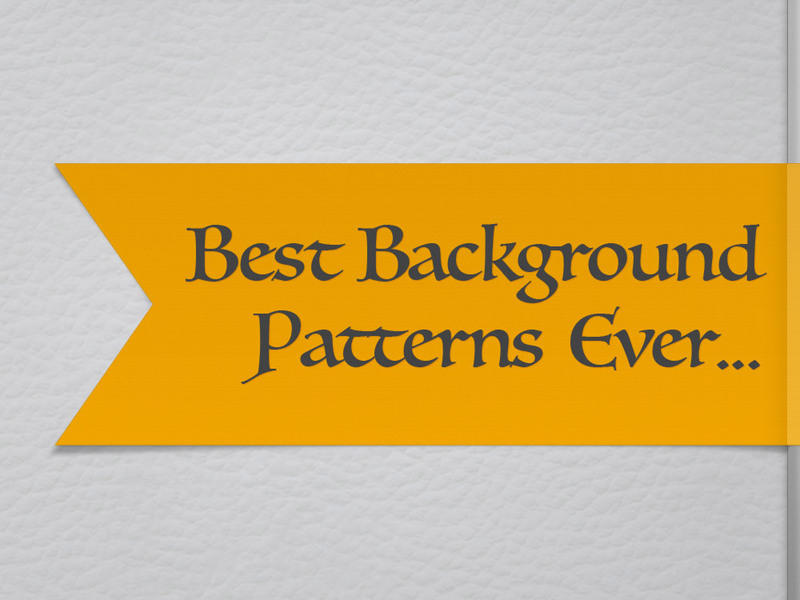 Every decent designer gets tons of use out of their best background patterns. Slick website backgrounds and realistic Photoshop images both require quality seamless textures. Start your collection with the best! We've collected an insane amount of social media icons, and these are the absolute best free icons we found among the bunch. 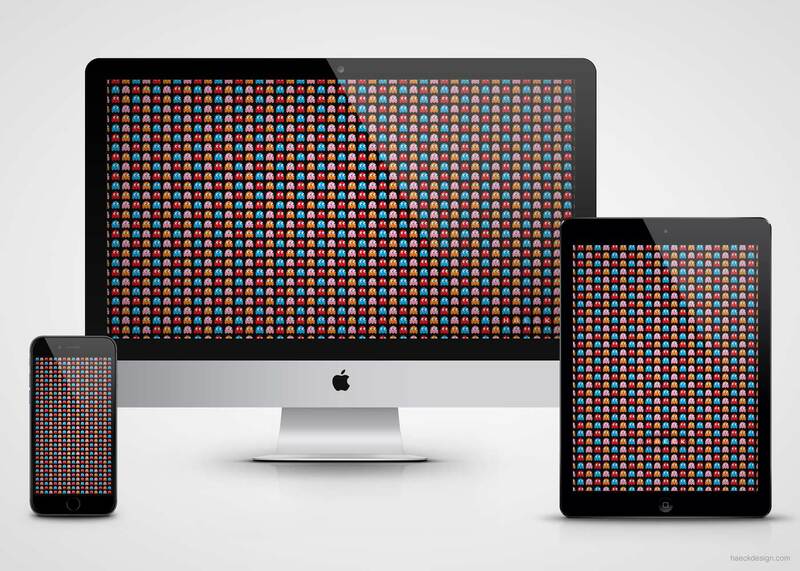 The Pacman Fever Wallpaper features Pacman ghosts patterned into a sweet Pacman wallpaper w/ some halloween spirit. We create high quality websites, logos, graphics, branding, and all sorts of creative marketing materials.